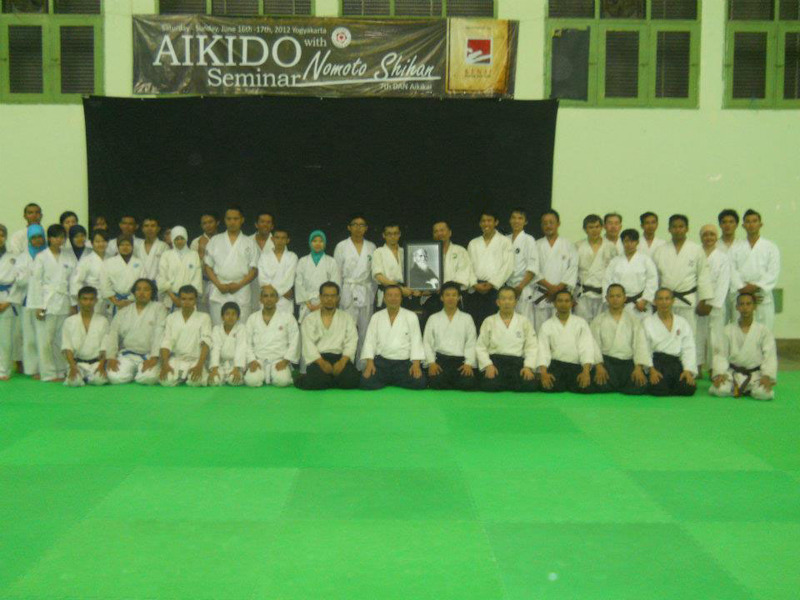 On June, Yogyakarta aikido held two days aikido seminar on 16th and 17th, with Jun Nomoto Shihan (7th Dan). The seminar held at Sanata Dharma University hall, Yogyakarta. Followed not only aikidoka from Yogyakarta, but also from other cities like Semarang, Solo, Malang, and Surabaya. On this seminar, Nomoto shihan taught about how to train our breathing, because proper breathing will give us many benefits, either in or outside training, such as, better awareness, better stamina, etc. Nomoto Shihan also taught jo kata and jo techniques. 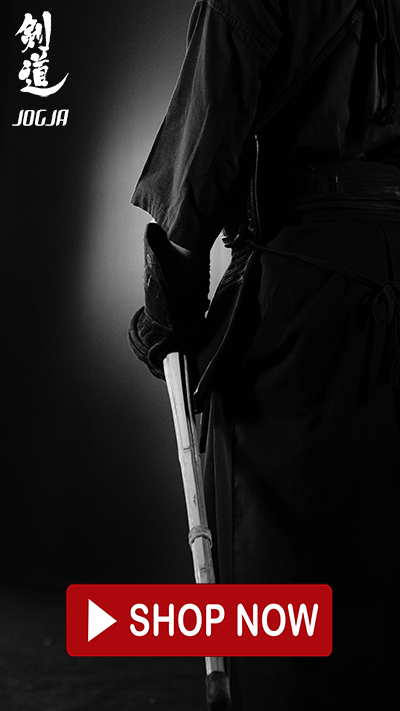 On jo kata, he taught individual and group jo kata. That was my first time practicing group jo kata. One group consists of 4 person, face to one center point. This kata usually showed in aikido demonstration, because it looks more beautiful than individual kata. For more detailed description about the seminar, you can see the following pictures by Yogyakarta Aikido.